1. Preheat oven to 425F. Combine all the dressing ingredients in a large glass ovenproof pan. Stir to mix well. Add the tofu slices and stir so that they are evenly coated. Allow to marinate for up to 30 minutes, if possible. When ready, bake for 10 minutes, flip and bake 10 minutes more. 2. 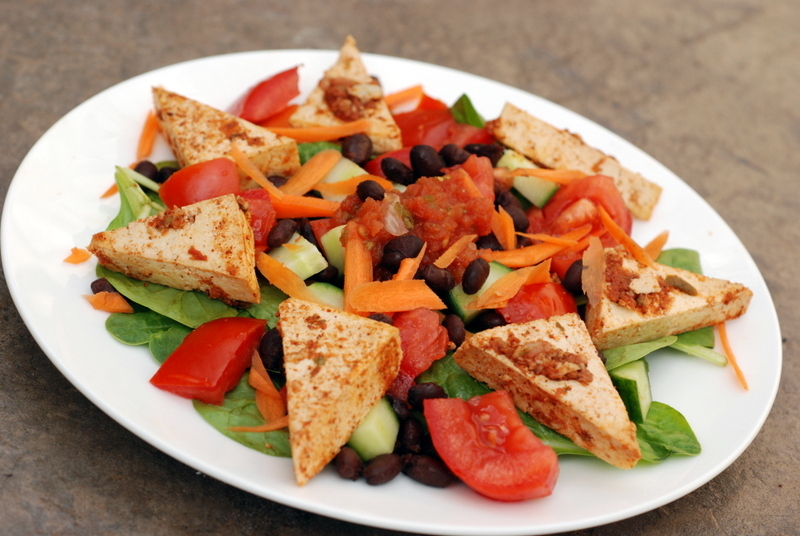 When ready to make your salad, combine all the salad ingredients and top with the baked tofu. I share the avocado pain – sometimes it seems there’s about 1 hour of ideal ripeness in between the rock hard and the brown-and-stringy phases. 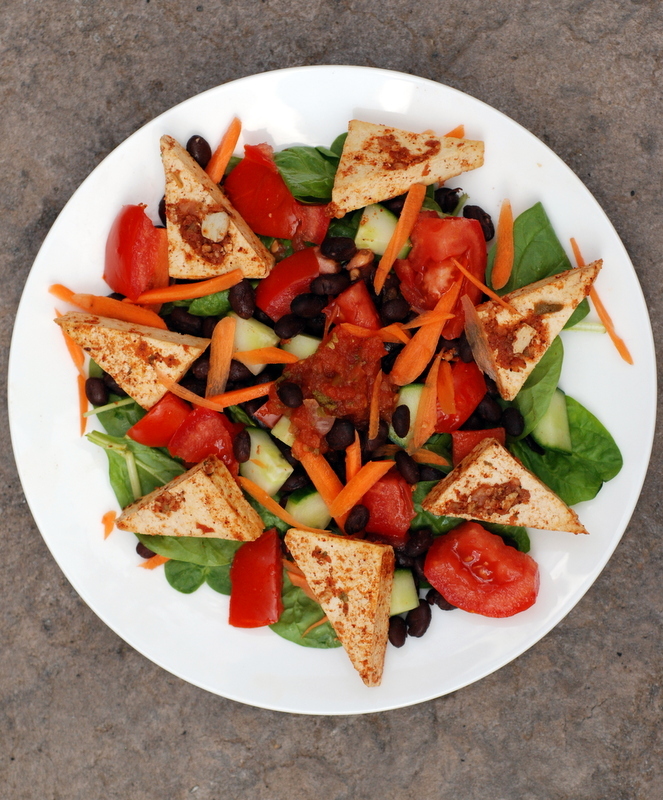 Salsa baked tofu sound good! You did a great job of making the salad look pretty! Yum! I think you made it more than pretty–it’s gorgeous! 😉 I love all of the vibrant color. Thanks for sharing with Souper Sundays this week.